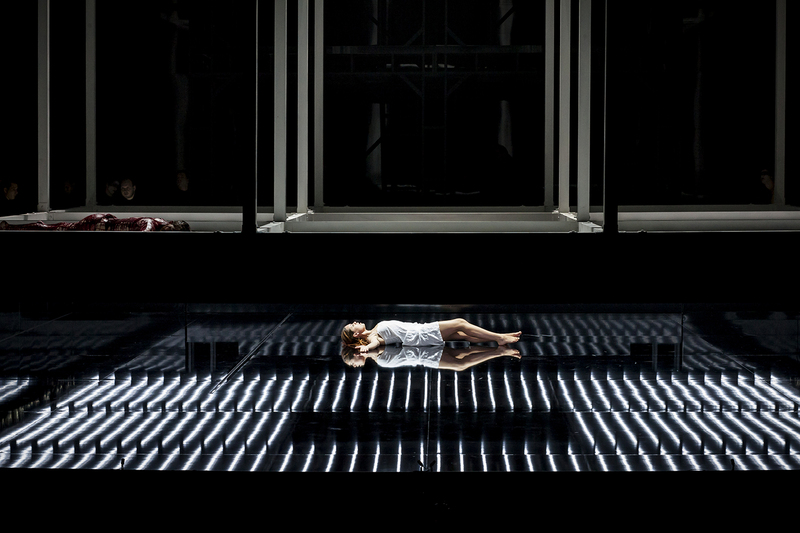 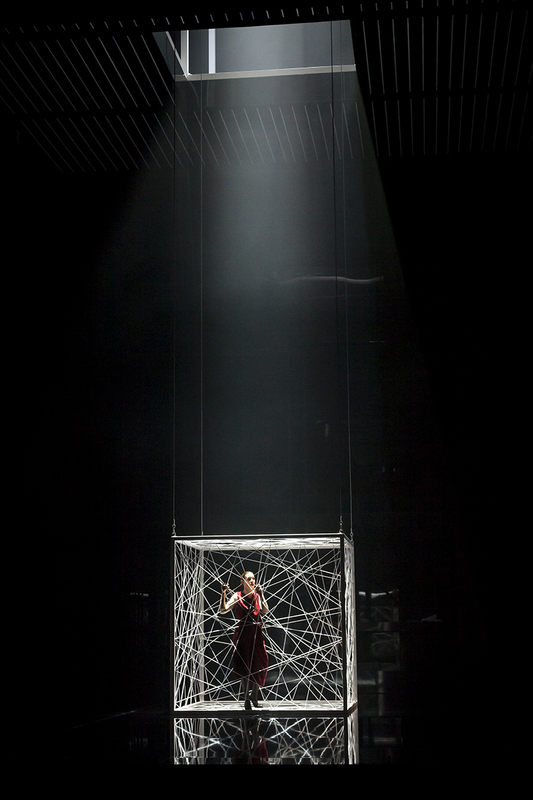 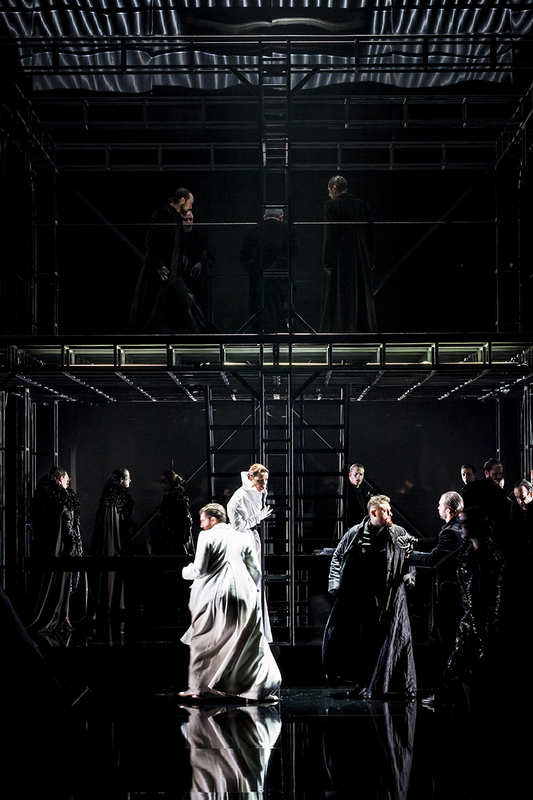 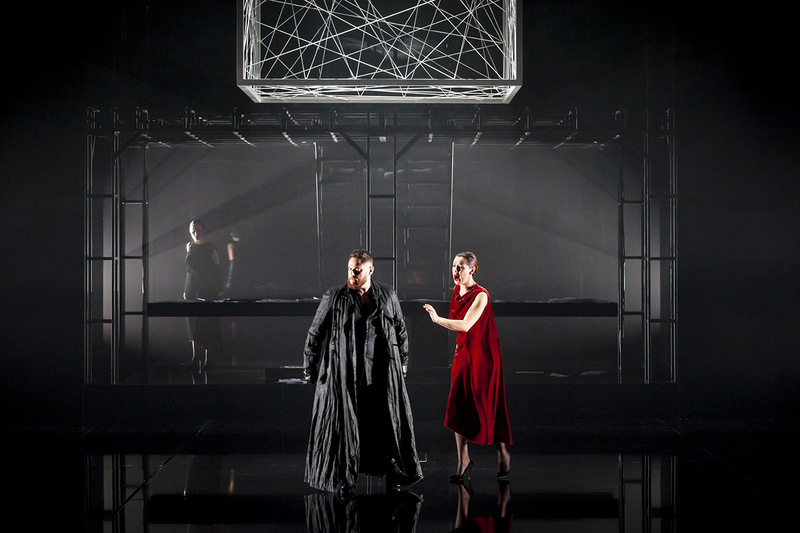 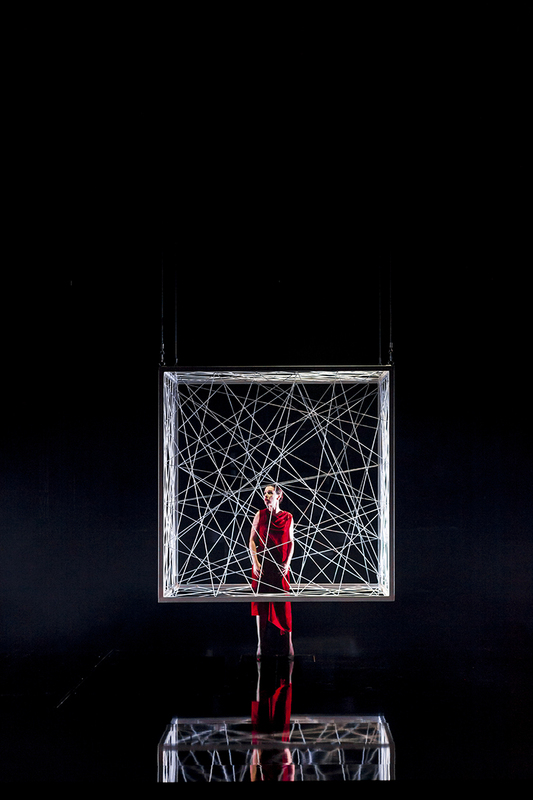 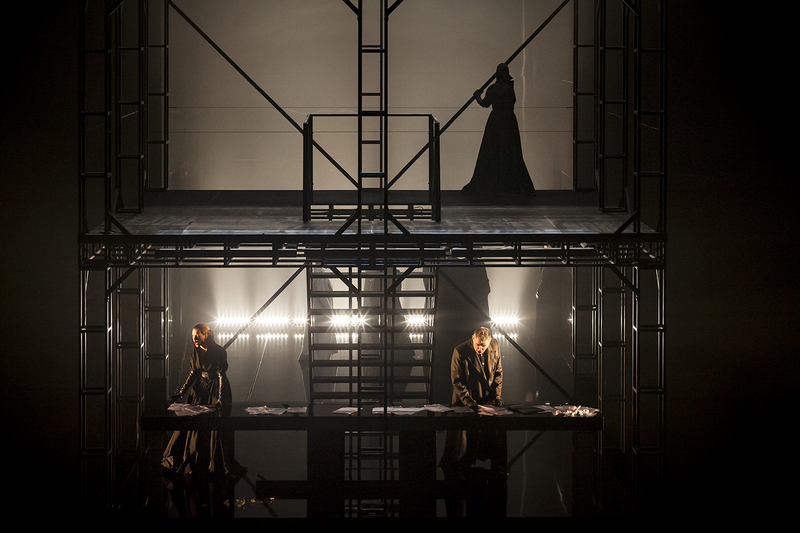 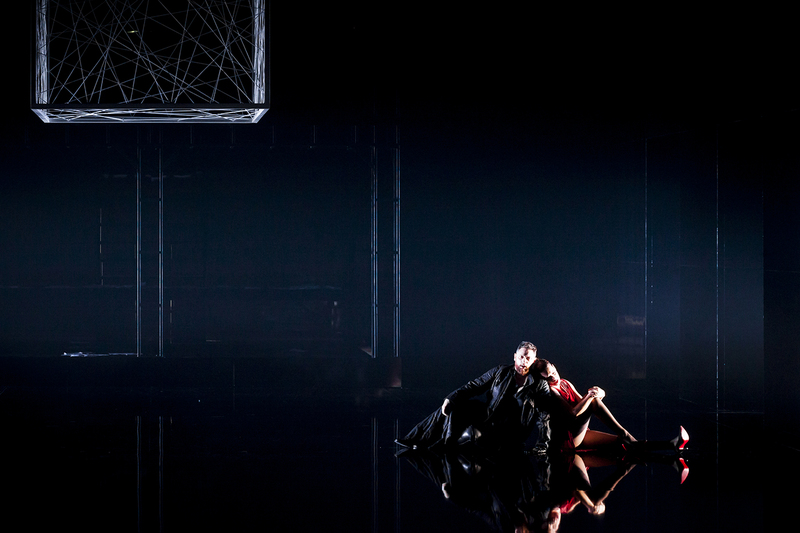 Stefano Poda’s production of Donizetti’s Lucia di Lammermoor premiered yesterday at the Lausanne Opera, Switzerland. 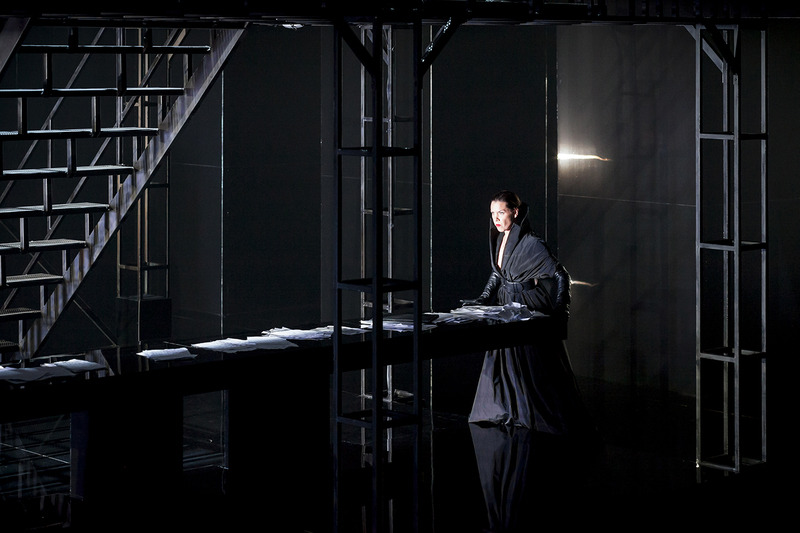 The drama of the main character Lucia, alone in her struggle against a masculine and selfish world, takes place in a cold, closed, and heavy palace, an elegant and enormous coffin from which she tries in vain to escape. 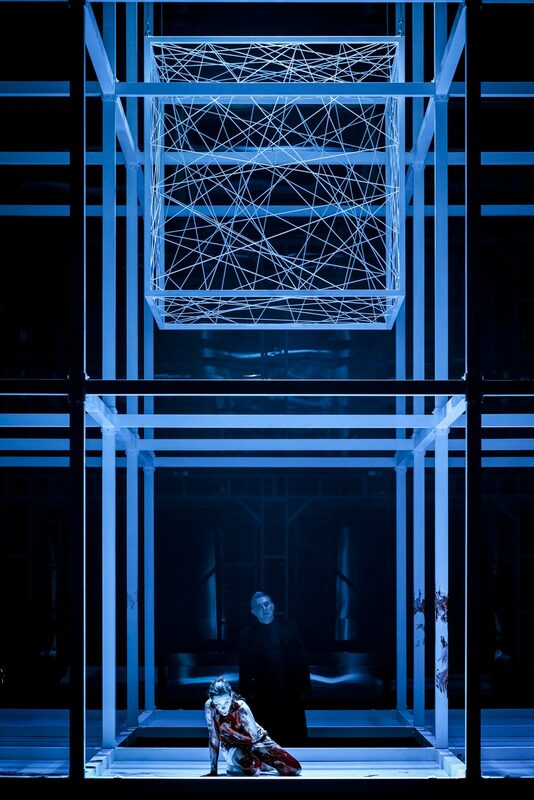 A perfect geometric cage, populated by spies, a prison dominated by incommunicability, an aesthetic and formal world that absorbs feelings and stifles them. 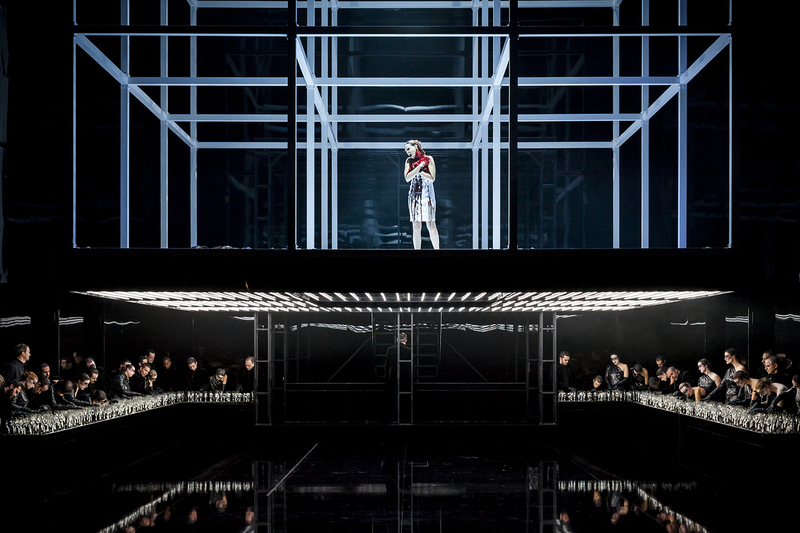 Lucia di Lammermoor is a new production of Opéra de Lausanne and will be on stage until October 8, 2017.